CORVALLIS, Ore — No. 2 seed LSU and No. 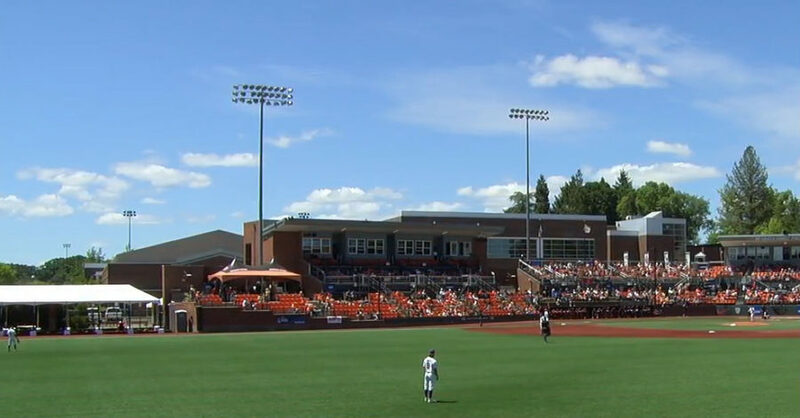 3 seed San Diego State will battle in Game 1 of the Corvallis Regional here inside Goss Stadium at Coleman Field in Corvallis, Ore, on Friday and you can stream coverage live on ESPN3 and WatchESPN. LSU finished as the national runner-up to Florida at last year’s World Series and has been on rebuild, following the loss of several influential players from last years. “I think our team is playing with confidence and are playing hard,” LSU head coach Paul Paul Mainieri, in his12th season, said on Friday during an ESPN interview. The Tigers made a stunning 2,500 mile trip to Corvallis for the Corvallis Regional, the longest travel thus far this season and the furthest road trip in program history. LSU fans don’t mind making these trips to wash the team play and they are again traveling in numbers to Oregon this week/weekend. San Diego State, in the meantime, is hoping to steal one today as it seeks to move in the winning side of the tournament bracket. The Aztecs are in the NCAA tournament for the fifth time in six years, but fourth-year head coach Mark Martinez is hoping that his team can get to Super Regionals for the first time. SDSU is seeded No. 3 this year, and it’s the program’s highest seed in a Regional tournament for the first time since 2014 when it was also at No. 3 for the Lafayette Regional. San Diego State is 11-26 all-time in NCAA Regional play. Coach Martinez is hoping for the big prize this season. “Winning a regional validates all the hard work you’ve done, but at the same time the ultimate prize is to win a national championship,” he said. “We really believe the baseball program at San Diego State can win a national championship. It’s a lot of hard work and a long process to get to that point. Goss Stadium at Coleman Field | Corvallis, Ore.